If you’re running a website, especially one that sells a local product, you need the right kind of traffic. You need to be found easily when people search for your industry and you area. Making sure search engines have you at the top of their list is the trick to ensuring your business can keep steadily gaining customers via the internet. 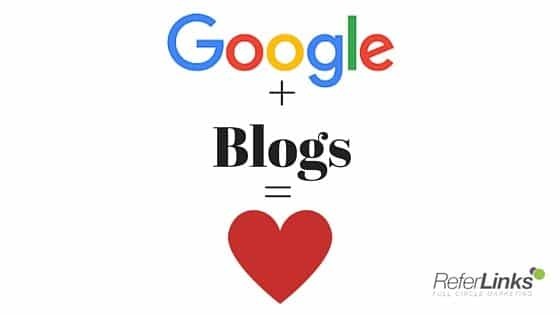 The biggest search engine now and for the foreseeable future remains Google, and that means you need to cater your site to what Google wants, and one of the big things Google wants is blogs. Here’s why. Google loves things that are new. It also loves things that are consistent. Unlike a website that can sit unchanged for months if not years, blogs are updated regularly and provide information that can be easily indexed and made searchable by google. Sites with fresh and quality changes will always rank higher than pages that are edited so infrequently they might as well be abandoned. The best blogs give tips and solutions for the kinds of issues your customers might have. A tire-seller for example might have a blog on whether or not winter tires are really necessary for someone living in the city. This is a common question one might ask on Google and if you can help get it answered, then your ranking will increase. Google loves to be able to answer people’s questions. This is more of a technical detail but blogs are very easy for Google to figure out. They are built in a way that Google can use to find the information important to its users, whether it’s the topic, the title, the keywords, or anything within the content. This means that blogs are more likely to rise up Google’s search results than a bare company site might. One of Google’s biggest measures of a site is its relevance socially – as in who is talking about it, how often, and how much is the content is being linked to. Blogs provide an easy starting point for that kind of interaction, whether you allow comments or not, since new content brings the opportunity for new eyes, new questions, and new customers. Blogs are becoming more and more important to Google and that’s why companies need to take advantage. While writing your own blog is certainly possible they can be time-consuming and require a degree of skill to write with both the entertainment of potential customers and search engine optimization in mind. If you need blogs for your business, as well as a full-service social media strategy, contact us at ReferLinks FCM today. This entry was posted in Blogging and tagged Fresh Content,Industry Information,Persistent Content on October 8, 2015 by ReferLinks Online Marketing.